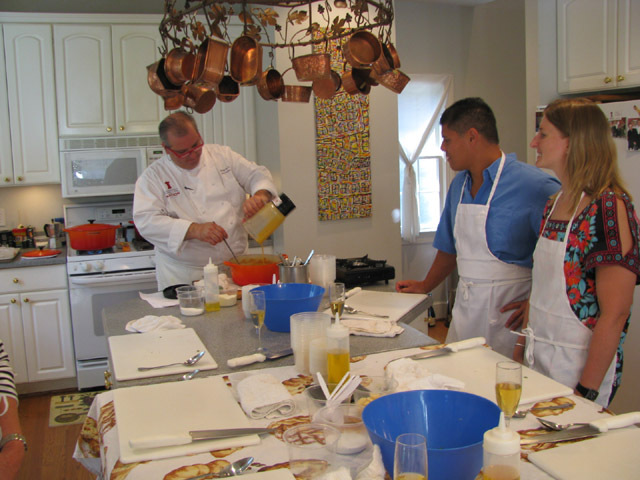 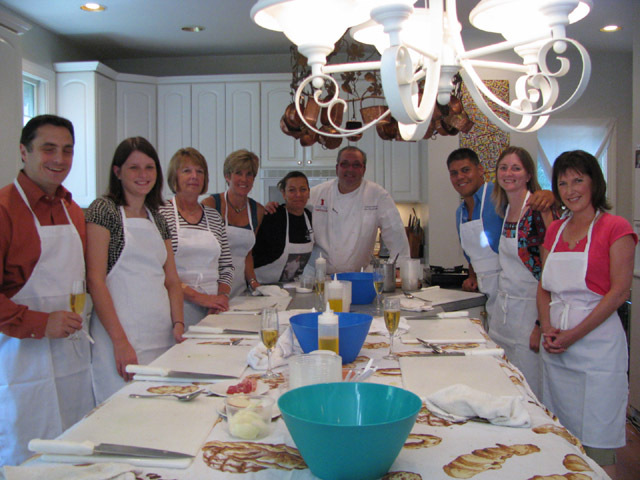 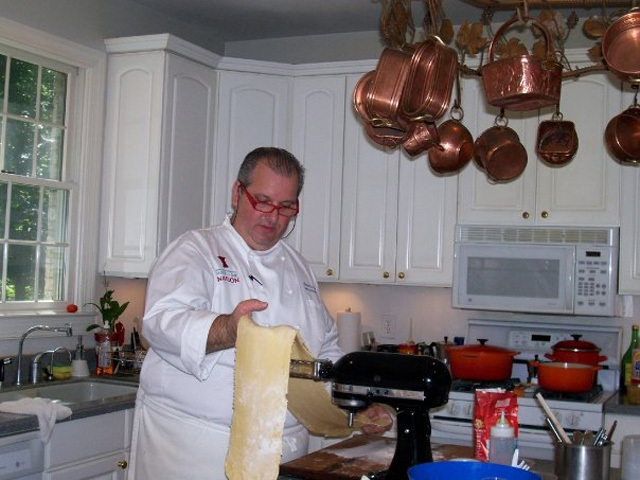 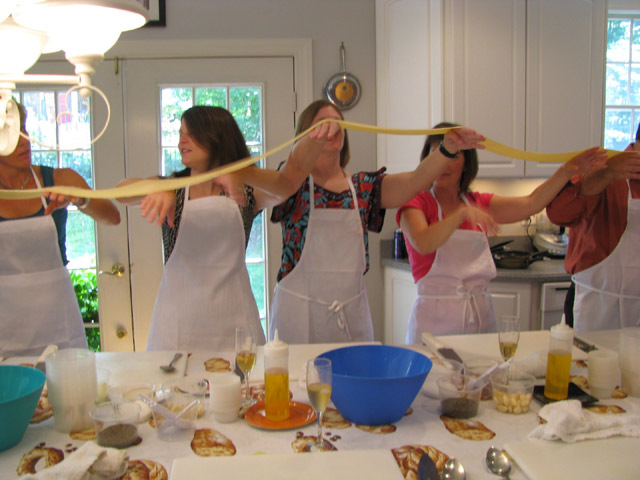 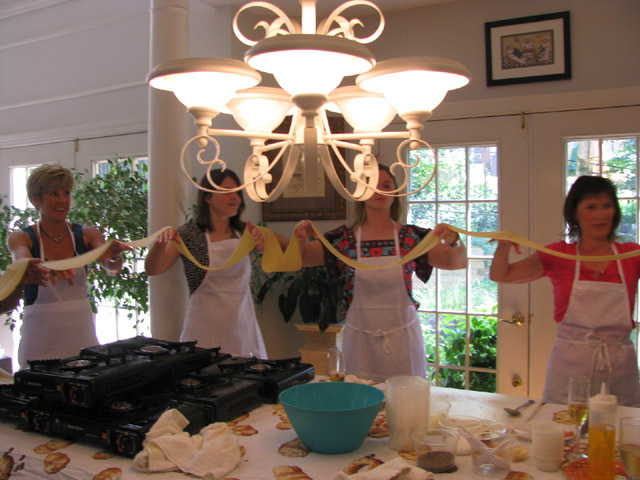 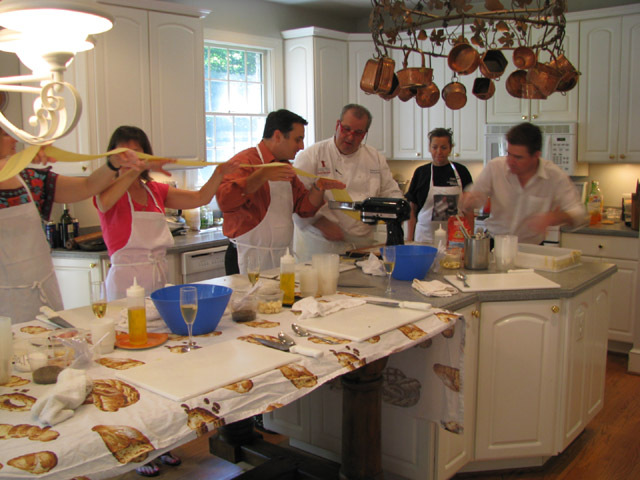 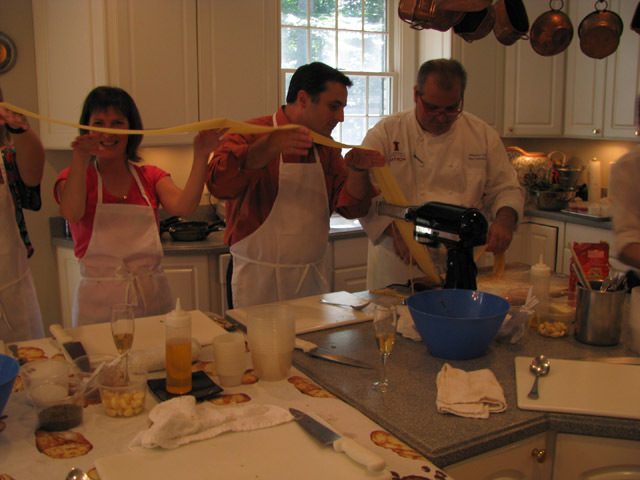 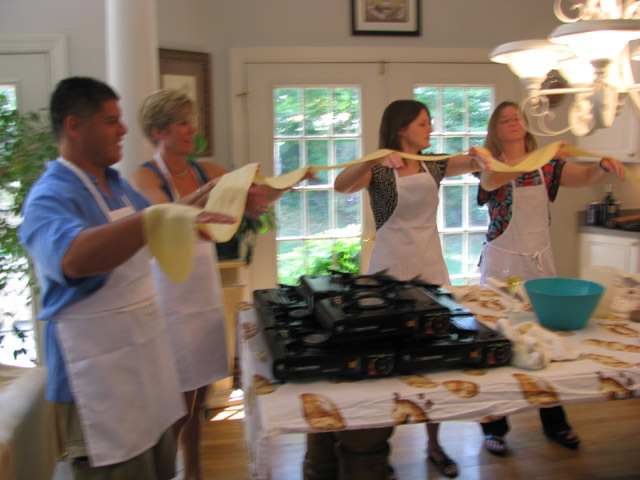 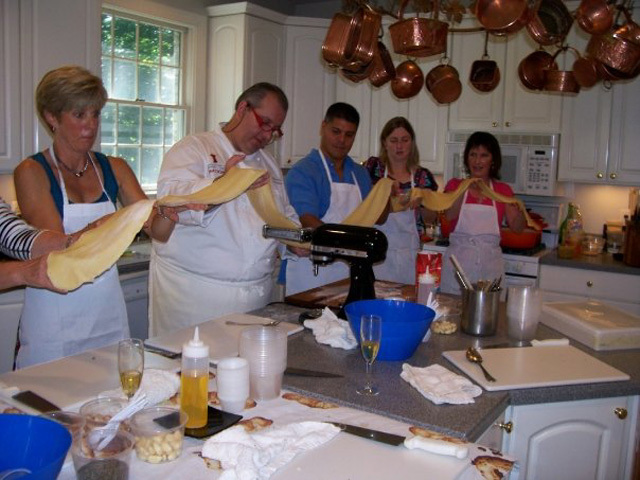 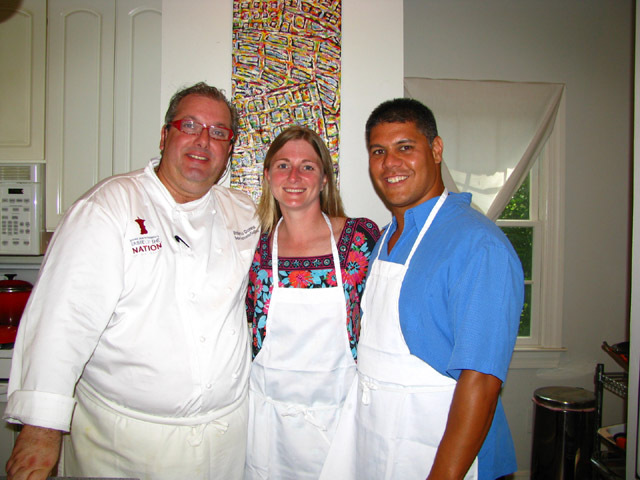 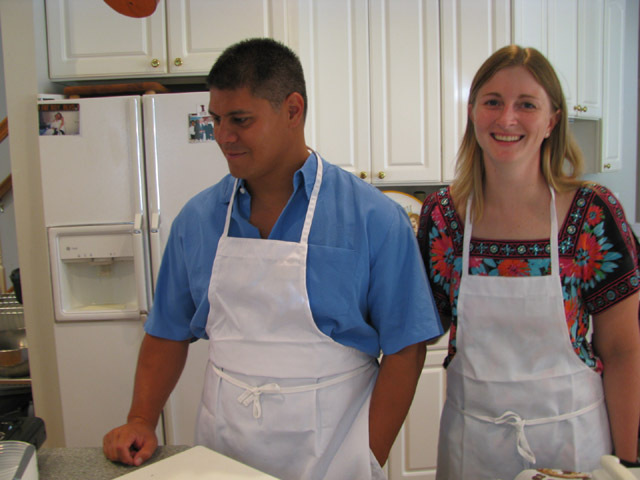 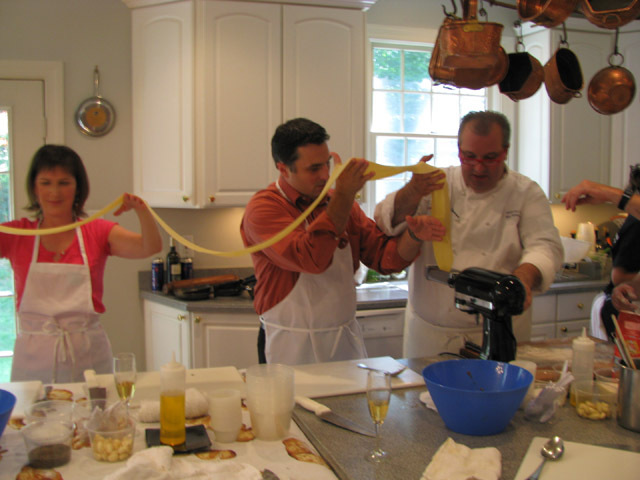 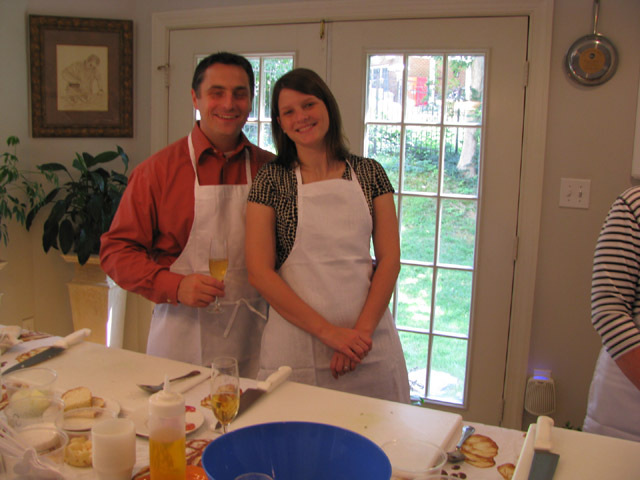 Family, friends and new comer Tracey joined a class with world renowned Chef Roberto Donna. 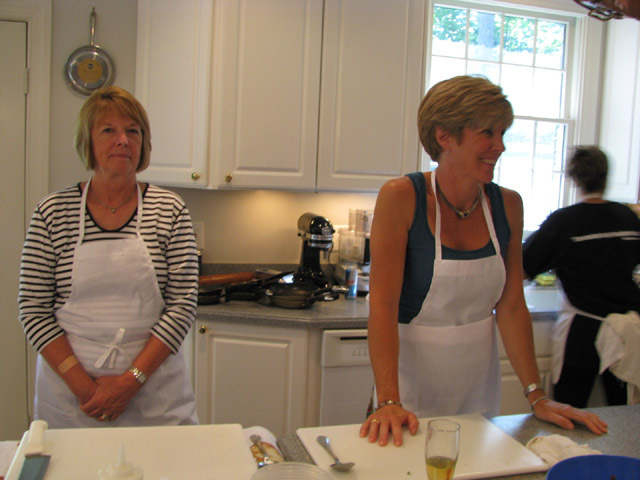 A wonderful afternoon of cooking, drinking and learning new dishes and how to prepare them for our guests (us). 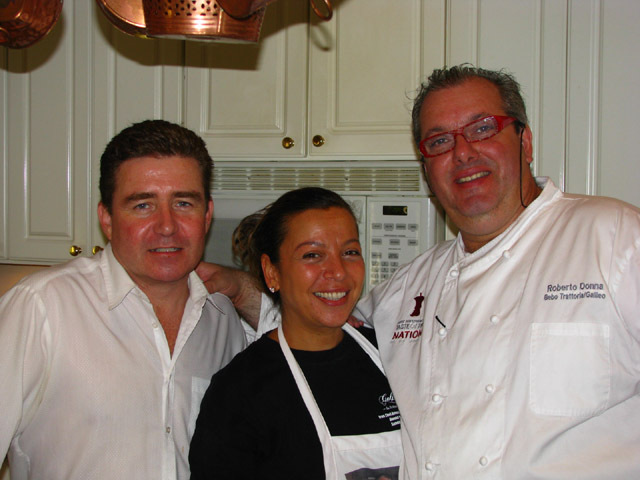 If you haven't had an opportunity to cook with the best, you are missing something special. 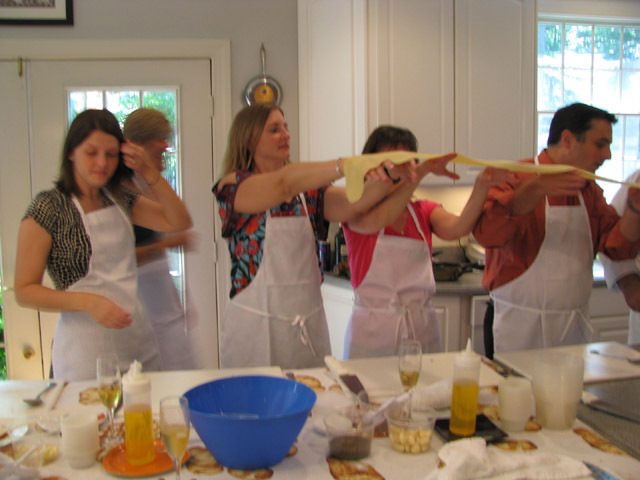 One great thing about the class is that it's hands on. 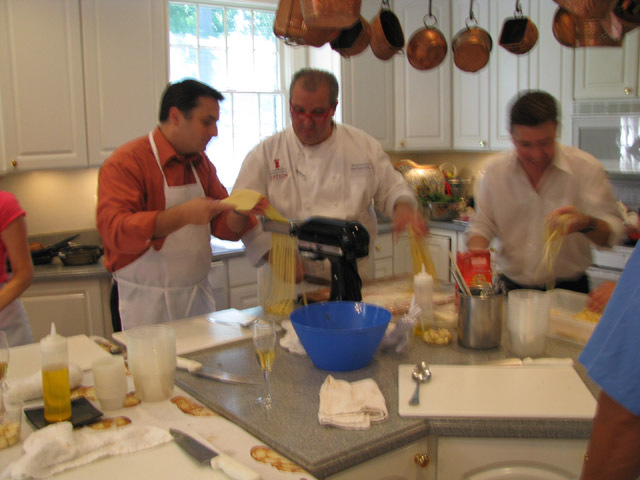 You learn chef secrets, drink wine/champagne and most of all ask questions of ingredients that work better than other. 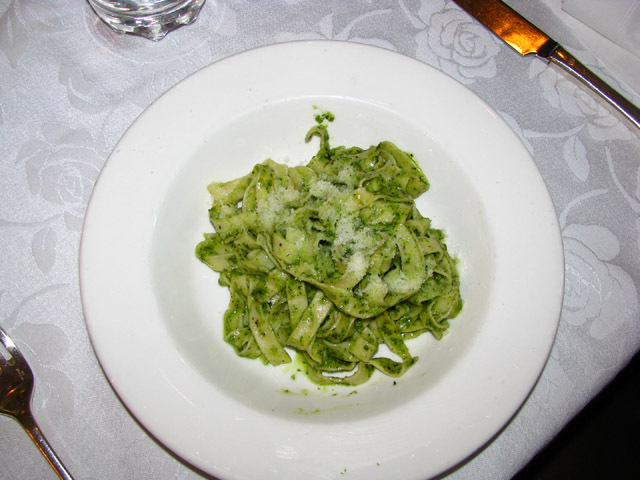 The event went smooth as silk and our dinning was absolutely delightfully. 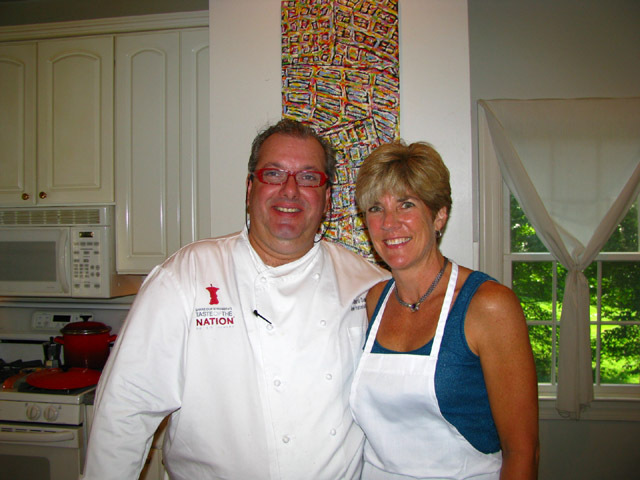 Too bad we couldn't take Chef Donna home with us. 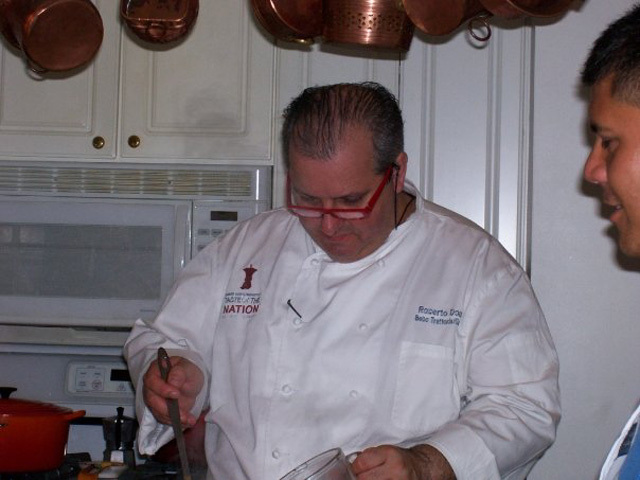 His saying 'Live Well, Eat Well' is to live for. 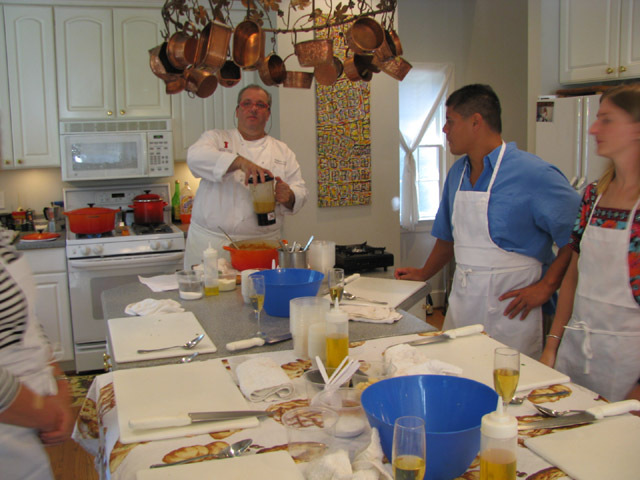 Again, Special thanks to Roberto, his wife Nancy and Martin who made the experience memorable.